Being informed can minimize the understandable fear associated with a diagnosis of breast cancer. The right information takes you from a place of perceived powerlessness and the unknown to a state where you can make conscious decisions and actively participate in your own healing. This process can be facilitated in a profound way by doctors and nurses who embrace this philosophy and remain open-minded to the use of alternative and complementary approaches. Feelings of anxiety, fatigue and pain are frequently influenced by breast cancer diagnosis and subsequent treatment. Many mind-body techniques and other natural approaches are capable of improving quality of life issues in BC patients. So far I’ve focused on ways to mitigate some of the adverse reactions associated with conventional cancer treatment. But what about using natural remedies as a means of improving treatment outcomes and/or protecting against breast cancer in the first place? Thank you for this timely information…I have many female friends that would benefit from passing this along to them. Thanks for helping us “be well”…! Please do (pass it along). The more people get the message that real alternatives and complementary options exist, the better. Many thanks for your kind words and support! Long term follow up of breast cancer patients treated with acupuncture for hot flashes. Short term effects of acupuncture treatment for hot flashes (HF) in breast cancer patients have been demonstrated in several studies, including a randomized controlled trial, by the present authors. Results for the first 59 Tamoxifen medicated women receiving a 10 week course of acupuncture treatment have already been published. A significant reduction in the number of hot flashes was demonstrated both day and night, for up to three months following treatment in the women receiving traditional Chinese acupuncture. The control group receiving sham (minimal acupuncture) demonstrated a HF reduction only at night during treatment, however the effect did not remain significant during the following 12 weeks. The study was continued in order to investigate longer term effects of acupuncture treatment, and patient’s quality of life two years after treatment. Eighty patients, who had 2 years previously been randomized to either a course of 15 acupuncture treatments or sham acupuncture (control) over a period of 10 weeks, were asked to fill out a Kupperman index (KI) indicating health related quality of life. Sixty one women returned KI questionnaires. A mixed models procedure with diagonal covariance matrix was used for statistical analyses. Baseline values between the sham-group and acupuncture group were not significantly different. However scores at the end of treatment and after 3 months showed a statistically significant difference between the groups, this difference lost its significance when scores were analyzed after 2 years. Acupuncture seems to have a positive effect on health related quality of life for up three months post-treatment, this study suggests that these effects may be longer-term, however there was no significant effect 2 years later. Complement Ther Clin Pract. 2015 Jan 29. The effects of yoga on the quality of life and depression in elderly breast cancer patients. 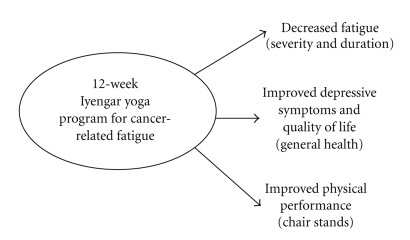 The aim of the study was to investigate the effects of yoga on the quality of life in patients with cancer. Twenty patients (10 were in yoga program, 10 were in exercise group) between 65 and 70 years of age under going treatment for cancer were included in the study. Physical characteristics of the patients were recorded and general physiotherapy assessments performed. Eight sessions of a classical yoga program including warming and breathing exercises, asanas, relaxation in supine position, and meditation and 8 sessions of classical exercise program were applied to participants. Before and after yoga and exercise program, quality of life assessments for the patients were conducted using the Nottingham Health Profile (NHP). Patients’ depression levels were assessed using the Beck Depression Inventory. Their level of pain, fatigue and sleep quality was evaluated using the visual analog scale (VAS). It was found that all patients’ quality of life scores after the yoga and exercise program were better than scores obtained before the yoga and exercise program (p < 0.05). When the post treatment data of the groups were compared in terms of NHP and subcategories, ER, SI, S, PA and the total scores of NHP were found significantly different in favor of Group I (p < 0.05). However EL and P scores of the NHP were not different between the groups (p > 0.05). When the groups were compared in terms of depression, pain, fatigue, and sleep quality, statistically significant differences were found in all parameters between pre and post treatment values for both groups (p < 0.05). When the post-treatment values of the groups were compared, fatigue and sleep quality were found statistically different between the groups in favor of Group I (p < 0.05). It can be concluded that yoga is valuable in helping to diminish depression, pain, fatigue and helps cancer patients to perform daily and routine activities, and increases the quality of life in elderly patients with breast cancer. Experimental Design: The influence of coffee consumption on patient and tumor characteristics and disease-free survival was assessed in a population-based cohort of 1,090 patients with invasive primary breast cancer in Sweden. Cellular and molecular effects by the coffee constituents caffeine and caffeic acid were evaluated in ER+ (MCF-7) and ER− (MDA-MB-231) breast cancer cells. Results: Moderate (2–4 cups/day) to high (≥5 cups/day) coffee intake was associated with smaller invasive primary tumors (Ptrend = 0.013) and lower proportion of ER+ tumors (Ptrend = 0.018), compared with patients with low consumption (≤1 cup/day). Moderate to high consumption was associated with lower risk for breast cancer events in tamoxifen-treated patients with ER+ tumors (adjusted HR, 0.51; 95% confidence interval, 0.26–0.97). Caffeine and caffeic acid suppressed the growth of ER+ (P ≤ 0.01) and ER− (P ≤ 0.03) cells. Caffeine significantly reduced ER and cyclin D1 abundance in ER+ cells. Caffeine also reduced the insulin-like growth factor-I receptor (IGFIR) and pAkt levels in both ER+ and ER− cells. Together, these effects resulted in impaired cell-cycle progression and enhanced cell death. 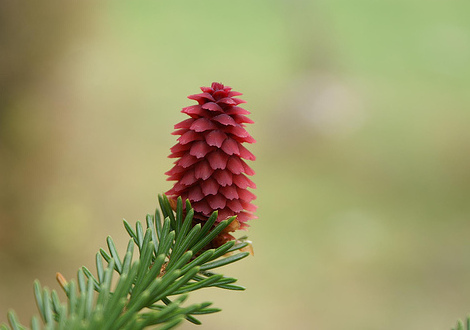 Conclusions: The clinical and experimental findings demonstrate various anticancer properties of caffeine and caffeic acid against both ER+ and ER− breast cancer that may sensitize tumor cells to tamoxifen and reduce breast cancer growth. Clin Cancer Res; 21(8); 1877–87. Integr Cancer Ther. 2015 Nov 29. YOCAS©® Yoga Reduces Self-reported Memory Difficulty in Cancer Survivors in a Nationwide Randomized Clinical Trial: Investigating Relationships Between Memory and Sleep. BACKGROUND: Interventions are needed to alleviate memory difficulty in cancer survivors. We previously showed in a phase III randomized clinical trial that YOCAS©® yoga-a program that consists of breathing exercises, postures, and meditation-significantly improved sleep quality in cancer survivors. This study assessed the effects of YOCAS©® on memory and identified relationships between memory and sleep. STUDY DESIGN AND METHODS: Survivors were randomized to standard care (SC) or SC with YOCAS©® . 328 participants who provided data on the memory difficulty item of the MD Anderson Symptom Inventory are included. Sleep quality was measured using the Pittsburgh Sleep Quality Index. General linear modeling (GLM) determined the group effect of YOCAS©® on memory difficulty compared with SC. GLM also determined moderation of baseline memory difficulty on postintervention sleep and vice versa. Path modeling assessed the mediating effects of changes in memory difficulty on YOCAS©® changes in sleep and vice versa. RESULTS: YOCAS©® significantly reduced memory difficulty at postintervention compared with SC (mean change: yoga=-0.60; SC=-0.16; P<.05). Baseline memory difficulty did not moderate the effects of postintervention sleep quality in YOCAS©® compared with SC. Baseline sleep quality did moderate the effects of postintervention memory difficulty in YOCAS©® compared with SC (P<.05). Changes in sleep quality was a significant mediator of reduced memory difficulty in YOCAS©® compared with SC (P<.05); however, changes in memory difficulty did not significantly mediate improved sleep quality in YOCAS©® compared with SC. CONCLUSIONS: In this large nationwide trial, YOCAS©® yoga significantly reduced patient-reported memory difficulty in cancer survivors. Psychol Health Med. 2016 Feb 7:0. Randomized controlled trial of mindfulness-based stress reduction (MBSR) on posttraumatic growth of Chinese breast cancer survivors. Breast cancer (BC) patients in China suffered from a variety of psychology stress such as perceived stress and anxiety, posttraumatic growth (PTG) as a positive factor could promote their psychology health and quality of life. This study aimed to investigate the efficacy of mindfulness-based stress reduction (MBSR) on promoting PTG, decreasing perceived stress and anxiety of Chinese BC patients. A randomized controlled trial of 60 BC patients (Stages I-III) was conducted. They were randomly divided to the 8-week MBSR group or usual care (UC) group. PTG inventory, Perceived Stress Scale of Chinese version (CPSS) and State Trait Anxiety Inventory (STAI) evaluated the PTG level, perceived stress and anxiety at three times(before intervention-T1, after intervention-T2 and follow up at 3 months-T3). A repeated-measures analysis of variance model was used to compare each outcome measure of two groups at the three times. There was one patient discontinued the intervention and one lose to follow up in MBSR group, finally 58 BC patients completed the research. There was no difference between two groups before the intervention. The results showed significant improvements in MBSR group comparing with the UC group that PTG level was much higher after the 8-week intervention and the follow up (F = 34.73, p < .00). At the same time, CPSS (F = 14.41, p < .00) and STAI (F = 15.24, p < .00) scores were significant decreased at T2 and T3. The results showed that MBSR promoted the level of PTG and decreased perceived stress and anxiety state of Chinese BC patients, and the results persisted at three months after intervention. The research preliminary proved that MBSR was suitable to Chinese BC patients. MBSR should be recommending to BC survivors in China. Complement Ther Clin Pract. 2016 May;23:1-8. Use of reflexology in managing secondary lymphoedema for patients affected by treatments for breast cancer: A feasibility study. PURPOSE: The aim of this feasibility study was to examine the use of reflexology lymphatic drainage (RLD) in the treatment of breast-cancer related lymphoedema (BCRL) with a view to further research. METHODS: An uncontrolled trial was conducted with 26 women who had developed lymphoedema in one arm following treatment for breast cancer. Changes in upper-limb volumes and in participant concerns and wellbeing were measured. Qualitative data were also collected. RESULTS: A significant reduction in the volume of the affected arm was identified at follow-up compared to baseline. This reduction in volume appeared to be maintained for more than six months. Participant concerns were significantly reduced and their wellbeing significantly increased. No serious adverse effects were reported. CONCLUSIONS: RLD may be a useful intervention for BCRL although the results could not be attributed to the reflexology intervention because of research design limitations. The main conclusion was, however, that there was sufficient evidence for further research using a randomized controlled trial. Eur J Cancer Care (Engl). 2016 Jun 23. Breast cancer treatment causes upper extremity (UE) impairments. This study aims to assess the efficacy of Pilates-based exercises (PE) in comparison with combined exercise (CE) and home exercise (HE) groups, in the rehabilitation of UE disorders related with breast cancer treatment. Fifty-five patients were randomly allocated to PE, CE (consisting of strengthening, stretching and range of motion [ROM] exercises) and HE groups (consisting of CE group exercises). Pain (using visual analogue scale), ROM (using digital goniometer), muscle strength (using dynamometer and pinch gauge), functional status (using Constant-Murley scale and Disabilities of the Arm, Shoulder and Hand scale) were evaluated before and after intervention. For data analyses (using spss 21 version), one-way ANOVA, paired samples t-test and Kruskal-Wallis test were performed (p ≤ .05 was considered statistically significant). The data obtained in this study revealed significant improvements in almost all the parameters measured in the PE and CE groups, and some improvements were superior to HE group. PE seemed to have resulted similar improvements in pain, muscle strength and functional status when compared to CE group. Therefore, PE seems to be an effective method of rehabilitation of patients with UE disorders related with breast cancer treatment, and might be considered for use as an alternative to CE in this population. J Complement Integr Med. 2016 Jul 12. The effects of the Bali Yoga Program (BYP-BC) on reducing psychological symptoms in breast cancer patients receiving chemotherapy: results of a randomized, partially blinded, controlled trial. BACKGROUND: Several cognitive behavioral interventions have been reported to reduce psychological symptoms in breast cancer (BC) patients. The goal of this study was to evaluate the effects of a yoga intervention in reducing depression and anxiety symptoms in BC patients. METHODS: This study was a randomized, partially blinded, controlled trial comparing a standardized yoga intervention to standard care. It was conducted at three medical centers in Montreal, Canada. Eligible patients were women diagnosed with stage I-III BC receiving chemotherapy. Participants were randomly assigned to receive yoga intervention immediately (experimental group, n=58) or after a waiting period (n=43 control group). The Bali Yoga Program for Breast Cancer Patients (BYP-BC) consisted of 23 gentle Hatha asanas (poses), 2 prayanamas (breathing techniques), shavasanas (relaxation corpse poses) and psychoeducational themes. Participants attended eight weekly sessions lasting 90 min each and received a DVD for home practice with 20- and 40-min sessions. Participants in the wait list control group received standard care during the 8-week waiting period. RESULTS: A total of 101 participants took part in the final intention-to-treat analyses. The repeated measures analyses demonstrated that depression symptoms increased in the control group (p=0.007), while no change was reported in the BYP-BC group (p=0.29). Also, depression symptoms decreased in the WL control group after receiving the BYP-BC intervention (p=0.03). Finally, there was no statistical significance in terms of anxiety symptoms (p=0.10). CONCLUSIONS: Results support the BYP-BC intervention as a beneficial means of reducing and preventing the worsening of depression symptoms during chemotherapy treatment. Cancer Nurs. 2016 Nov 4. The Effects of Mind Subtraction Meditation on Breast Cancer Survivors’ Psychological and Spiritual Well-being and Sleep Quality: A Randomized Controlled Trial in South Korea. BACKGROUND: Most breast cancer survivors experience psychological and spiritual distress, including depression, anxiety, perceived stress, and loss of meaningfulness in life. This distress can negatively impact physical health, quality of life, and quality of sleep. OBJECTIVE: The aim of this study was to compare and examine the effectiveness of mind subtraction meditation (MSM) and a self-management education (SME) group on breast cancer survivors. METHODS: A randomized controlled trial was conducted with South Korean female breast cancer survivors (stages I-III). Self-reported questionnaires were administered to both MSM group (n=22) and SME group (n=24) to measure psychological and spiritual well-being, as well as quality of sleep. RESULTS: Compared with the SME group, the MSM group reported a significant decrease in depression (P=.034), anxiety (P=.036), and perceived stress (P=.009) and an increase in quality of life (P<.001), satisfaction with life (P<.001), posttraumatic growth (P=.007), and quality of sleep (P=.010). CONCLUSIONS: Mind subtraction meditation may have positive therapeutic effects among breast cancer survivors. This meditation program may be useful to manage psychological and spiritual distress, as well as improve quality of life and sleep, in clinical settings among breast cancer survivors. IMPLICATIONS FOR PRACTICE: This study demonstrated the clinical effectiveness and the feasibility of applying the MSM method to breast cancer survivors. The participants had a high attendance rate in the program, which speaks to the likelihood of the applicability of the meditation program on an outpatient basis. Breast Cancer Res Treat. 2016 Dec 2. Fatigue reduction diet in breast cancer survivors: a pilot randomized clinical trial. PURPOSE: Fatigue is a prevalent and burdensome effect of breast cancer. Fatigue has been linked to chronic inflammation, and diets high in antioxidant nutrients have been associated with lesser prevalence and severity of fatigue. Studies are needed, however, to test if antioxidant-rich diets could improve fatigue. METHODS: Pilot, randomized, trial conducted between January 2014 and April 2015, to investigate if a 3-month diet rich in fruit, vegetables, whole grains, and omega-3 fatty acid-rich foods, named the fatigue reduction diet (FRD), improved fatigue and sleep compared to an attention control, named the general health curriculum (GHC). 30 stage 0 to III breast cancer survivors, who had completed cancer treatments, were randomized: 15 receiving the FRD and 15 the GHC. Primary outcome was change in fatigue, as measured by the brief fatigue Inventory, from baseline to 3 months analyzed using linear mixed models. Secondary analyses were changes in sleep quality, serum carotenoids, and fatty acids. RESULTS: From baseline to 3-month fatigue improved by 44 ± 39% in FRD compared to 8 ± 34% in GHC (p = 0.01); sleep quality improved by 2.5 ± 3.3 points in FRD, and diminished by 0.9 ± 2.3 in GHC (p = 0.03); serum total carotenoids (p < 0.01), β-cryptoxanthin (p = 0.02), lutein (p = 0.05), zeaxanthin (p = 0.01), lycopene (p = 0.05), omega-3 fatty acids (p < 0.01), and ratio of omega-3:omega-6 fatty acids (p = 0.02) were significantly increased, and percent saturated fatty acids were decreased (p = 0.04) in FRD; γ-tocopherol was significantly increased in GHC (p = 0.03), and there was a significant visit by group difference for α-carotene between the study groups (p = 0.05). CONCLUSIONS: The FRD intervention improved fatigue and sleep in breast cancer survivors compared to the GHC. FRD diet could provide a non-toxic treatment strategy for persistent fatigue. J Clin Oncol. 2017 Jan 20;35(3):325-333. Protein Intake and Breast Cancer Survival in the Nurses’ Health Study. Purpose Greater protein intake has been associated with better breast cancer survival in several prospective studies, including among 1,982 women in the Nurses’ Health Study. We proposed to extend this previous finding. We hypothesized that protein, essential amino acid, branched-chain amino acid, and leucine intakes are associated with improved survival and that these associations are stronger in tumors expressing insulin receptor (IR). Patients and Methods We included 6,348 women diagnosed with stage I to III breast cancer between 1976 and 2004. There were 1,046 distant recurrences. Relative risks (RRs) and 95% CIs were calculated according to quintiles of updated postdiagnostic diet using adjusted Cox proportional hazards models based on follow-up until 2010. Results There was an inverse association between energy-adjusted protein intake and recurrence. Multivariable RRs for increasing quintiles of intake compared with the lowest were 0.95 (95% CI, 0.79 to 1.15), 0.92 (95% CI, 0.76 to 1.11), 0.75 (95% CI, 0.61 to 0.91), and 0.84 (95% CI, 0.69 to 1.03; trend P = .02). For animal protein intake, the RRs were 0.88 (95% CI, 0.73 to 1.06), 0.85 (95% CI, 0.70 to 1.02), 0.75 (95% CI, 0.62 to 0.92), and 0.78 (95% CI, 0.63 to 0.95; trend P = .003). Neither essential amino acids, branched-chain amino acids, nor any individual amino acid stood out as being the source of the association. The association also did not differ by IR status. There was no clear association with any protein-containing foods. Conclusion We found a modest survival advantage with higher intake of protein, regardless of IR status. There was no clear mechanism for this association, although it is consistent with prior studies. Our data suggest that there is likely no advantage for women with a history of breast cancer in restricting protein intake or protein-containing foods. J Cancer Prev. 2017 Dec;22(4):260-266. High Intensity Interval Training Increases Natural Killer Cell Number and Function in Obese Breast Cancer-challenged Mice and Obese Women. High intensity interval training (HIIT) boosts natural killer (NK) cell number and activity in normal weight breast cancer patients; however, whether this occurs in obese individuals is not well established. The goal of this study was to determine whether HIIT effectively boosts NK cells as a therapeutic strategy against breast cancer in an obese mouse model and in overweight/obese women. Diet induced female C57Bl/6 obese mice were assigned to undergo HIIT for four weeks or remain sedentary. Female participants were subjected to a six weeks HIIT protocol. HIIT mice acclimatized to treadmill running were subsequently injected with 5 × 105 polyoma middle T (MT) breast cancer cells intravenously. NK cell number and activation were monitored using flow cytometry, and tumor burden or lipid content evaluated from histological lung and liver tissues, respectively. In both mice and humans, circulating NK cell number and activation (CD3-NK1.1+CD27+ and CD3-CD56+, respectively) markedly increased immediately after HIIT. HIIT obese mice had reduced lung tumor burden compared to controls following MT challenge, and had diminished hepatic lipid deposition despite minimal body weight loss. Our findings demonstrate that HIIT can benefit obese individuals by enhancing NK cell number and activity, reducing tumor burden, and enhancing metabolic health.